I was recently invited to speak at a symposium on “Redefining the American Spa Experience” for the Washington Spa Alliance, an impressive group of spa and wellness professionals in our nation’s capital. The theme of the day seemed to be exploring the relationship that spas have with science. I tried to contribute to the dialogue by discussing science and spirituality in the world of spas. Today’s article comes from the notes from my talk. Science and spirituality. These are two ideas that seem to live at opposite ends of the spectrum. All of us in the spa industry have to find our places on this continuum, with medical spas on the scientific side all the way to meditation retreats and ashrams on the spiritual end of the spectrum. The trend in the spa industry seems to be about moving spas away from spirituality and more towards the scientific end of the spectrum. Susie Ellis, President of SpaFinder, identified this move towards science in her Top 10 Global Spa Trends for 2011. The problem I have with these messages is that they are based on fear. We live in a difficult economy and so we are afraid that if we do not do something to make our offering more relevant or more scientifically validated, we will be viewed as nothing more than a luxury indulgence, and the consumers will simply take their dollars somewhere else. These are valid fears, and the spa industry should take them seriously, but I’m not so sure that getting more scientific is the right answer. There are already plenty of entities in our society competing on the scientific end of the health care spectrum. Spas should focus on doing what they do best, which is treating people holistically across mind, body, spirit. Spas should be more spiritual, not more scientific. I don’t like, for example, the idea that spas should be less about pampering and more about wellness. On the contrary, I think pampering is an essential part of what it is to be a spa (see my article “In Defense of Pampering.”) Rather than removing pampering from the spa experience, I wonder why I can’t get pampered when I go to a doctor’s office or a hospital. Why are spas the only healing institution that we look forward to going to? The philosophy of the spa world is that feeling good and being well are related. That is our strength and we should capitalize on it not abandon it. I also don’t agree that spa services should be covered by insurance, even though it would probably be an economic benefit to the industry. The insurance companies are the reason that there is no pampering to be found in our other healing institutions. The doctor does not have time to spend with patients because the insurance companies are paying the bill, and they decide the best ways your medical dollar should be spent. From my experiences of dealing with insurance companies, it is the exact antithesis of the healing, nurturing treatment you would expect from a spa. Luckily for the spa industry, there is also a trend to give consumers more responsibility in managing their own health care. That being said, we do have to prove our efficacy to the consumer so that when they are choosing where to spend their health care dollars, the spa seems like a worthwhile choice. And that brings me to the third message: “spas should do more research and be more evidence based.” I agree we should be more evidence based, and we should question the efficacy of our treatments with scientific inquiry, but we also need to recognize the limitations of science. Research, for example, is contingent on controlling for the placebo effect and we should recognize that spas are designed to maximize the placebo effect. Some people in the industry will be offended by me saying this, because of the stigma of a placebo as a “null treatment.” But I define the placebo effect as “the body’s ability to self-heal,” and I think spas are places that people can go to heal themselves.
. . . the placebo effect is actually the untamed (and untamable) spirit of healing. It is the healing that cannot be explained by current science and is therefore assumed to be anomalous. It is the miracle that medicine cannot see because it does not fit the model. Another limitation of science is that most research is based on uncovering interventions that work across broad populations of people. But it doesn’t really tell us much about what works for individuals. Ellen Langer, psychology professor from Harvard University and the author of “Mindfulness” and “Counterclockwise,” talks about “the science of possibility” (or looking at what is possible in individuals.) The extremes of possibility are considered statistical outliers and so are removed from most scientific research. Science looks at what is common. Spas may offer what is possible, as we hear in thousands of anecdotal stories of healing and transformation. So how do spas move towards the spiritual? The International Spa Association has defined spas as places that enhance wellbeing across body, mind and spirit. But do we really live up to this definition, or even in the fu-fu-la-la, air fairy world of spas, do we find ourselves being focused primarily on the physical side of what we do? We talk about the scope of our facilities, we talk about the techniques of our therapists, and we talk about the ingredients of our products. So what are we really doing for the mind and the spirit? I believe the spa experience is ultimately a psychological experience and a client loves or hates their visit to the spa, not because of the facilities, the products, or even the technical skill of their therapist, but simply because of how we made them feel. Did we touch them on an emotional level? Did we ease their anxiety? Did we allow new insights or a fresh perspective to pop into their head? Did we give them time for quiet reflection on their values and goals? Did we give them an opportunity to connect with others? Did we encourage them to take a step towards a healthier lifestyle? The ironic twist is that these ideas of spirituality are not mutually exclusive with the ideas of science. 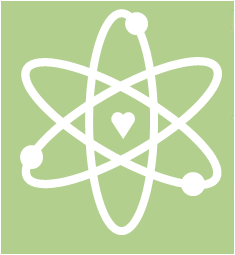 Science and spirituality seem to be moving closer together, not farther apart, as evidenced by a growing body of research that shows the importance of finding meaning in life, experiencing positive emotions, expressing love, hope, optimism and gratitude, and connecting with others. Science is even getting more involved in issues of morality, kindness and altruism. My favorite definition of spirituality comes from a scientist: psychologist Kenneth Pargament, who wrote a book on the psychology of religion. He defined spirituality as “the search for the sacred.” For some people, “sacred” is a religious word and people use it to describe God, the bible, their church, their religion. But there are other things that people hold sacred. For some people time is sacred, silence is sacred, relationships with a loved one are sacred. Spas and churches are the only two places in society where we are separated from technology and asked to come together and spend time in silence. 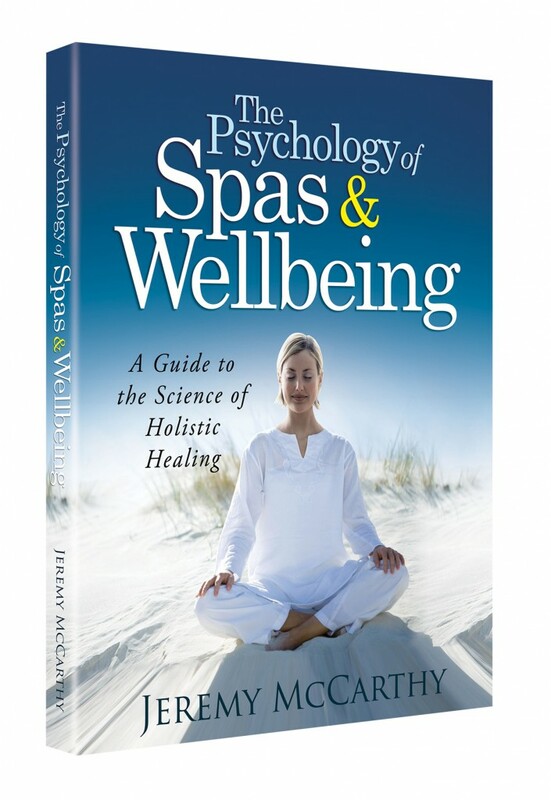 To be clear, spas should be more scientific, but in a holistic way. We do not have to follow the medical model of the scientific method that looks at human health like a mechanic might look at automotive repair: What parts need to be replaced? What fluids need to be refilled? What additives can we pour into the system to make it run better? Human health is complex. Wellbeing is determined not only by our physical condition, but by our relationships, how we think and feel, and what we believe. Spas offer a place of healing in our society where that holistic nature is truly embraced and respected. The medical health care establishment is already firmly covering the space for scientifically validated treatments in the physical realm. But spas can own the holistic world. If we use holistic science to create spas as spaces for people to self-heal, while experiencing emotion, meaning and connections, we offer something that the world really needs . . . and can’t get anywhere else. Bravo Jeremy for calling a spade a spade… the points you made are so valid and true. Spas need to cultivate the human touch and connection in order to promote healing. The staff needs to want to nurture and enhance a person’s experience any way they can. Location, facility, product and pricing come second. Spas need to remain a sanctuary – a place where you can leave the real world at the door and feel special. I agree that the placebo is powerful. So if the spa industry aims to maximise the placebo, then the industry needs to prove (science) that it is better at it then other protocols that tap into placebo. For example chiropractors claim to use innate intelligence – another name for placebo. Is a spa treatment any more effective than chiropractor or perhaps a walk though a forest. It’s all about balance, isn’t it? The spa industry is seeking to strike a balance between spirituality and science. I can imagine a real fear for spa owners is turning off their existing or potential customers if the pendulum swings too far one way or the other. And with all the talk lately about science, perhaps now spas are exploring yet another edge in order to regain to balance. After all, isn’t that why people go to spas in the first place? To your point, I don’t see why it can’t be be both spiritual and scientific. The equilibrium a spa could meaningfully provide is one that makes sense in their marketplace; it’s not a one-size-fits-all approach. Of course, it’s important to take trends into account, such as the scientific one of late. However, by viewing the trend objectively and as an opportunity expand and grow, spas will keep themselves in check. To be honest, I think we should be more scientific, just without sacrificing the things that make spas unique. Oz, I was thinking about your comment and it reminded me of something I saw you say a long time ago regarding positive psychology interventions . . . that maybe their benefit came simply from taking action and not necessarily from the specific activities of the intervention. I think this is a really good point and something that would also have to be teased out scientifically to better understand our offerings. There is so much going on in a spa experience that it is hard to tell what has therapeutic value, what is placebo and what is null. Which of these things are beneficial in isolation? Or which ones work in combination with each other? We have our work cut out for us scientifically, but in the meantime, we can see from the ubiquitousness of spa experiences across time and culture that there is a perceived benefit to the spa-goers. Another great post and lots of convincing arguments, Jeremy! I agree with and applaud almost all you said, but would like to debate on one point: coming from Canada where spa treatments were reimbursed by my health insurance (not everything is free healt-wise in Canada, so large companies offer health insurance to their employees for what isn’t), I’d like to say that the quality of treatment received in that environment was not one bit inferior to the quality of treatment received here. If anything, the fact that my insurance reimbursed 80% of the cost of the treatment helped me see it as a recognized and important way to heal myself, as opposed to an extravagant indulgence. It took the guilt factor out, so I actually enjoyed it better. It also made me a more regular user- I probably received one massage per month when I lived in Canada, and now I’m probably at one per quarter. As a result of being so regular with my treatments, I had developed a very special bond with my regular therapist, who could easily identify when I had worked out differently, when I was more stress, etc and adjust the treatment accordingly. That closeness also enhanced the benefits of the treatments. Makes sense? Now I must also say that the therapist would give me a receipt, which I paid and later could submit to my insurance for reimbursement. That way, I was still the client and the payer, so the therapist could in no way feel like my insurance company had anything to do with the whole transaction. That might have helped. Keep up the good posts, Jeremy! We love it! We would love to have you join us at our annual event in June. You really have your hand on the pulse of where spa is heading. Bravo for a great article! I think after 9/11, the words “pampering” and “indulgence” were taken off spa treatment menus because people felt guilty about visiting spas in those catastophic times. Somehow those words never returned to the menu descriptions after that. Hi Marie-Josee, you bring up a very good point and expose the U.S.-centric bias of my article. I am very disheartened by the entire system as i see it working here in the U.S. I think the care is horrible (not in the sense that the doctors are not trained, but that the system does not really guide people to the treatment they need and the patient is not evaluated in a holistic sense that includes psychological and lifestyle factors in their health and treatment–and don’t get me started on the lack of any efforts towards prevention.) But I’m not against the idea of insurance and I’m sure it is executed in better ways in other countries. Lilke in Canada, it makes sense that massage would be considered as a covered health intervention because it would provide great value to people. I just feel the insurance companies are to blame for many of our problems here in the U.S. and I would hate to see the nurturing care provided in a spa be derailed by big business. Your point is well taken and it is nice to know that it can work better than it does here. Thanks for bringing that up! Thanks as always for your thought-provoking blogs. You always give us a lot to think about and the challenges you raise as in “In Defense of Pampering” are a real help to the industry. One thing I wanted to mention is that this is the first year that in addition to my annual SpaFinder Spa Trend Report, I added a section on “Counter Trends” for the very reasons you pointed out in your writing. Just because something is trending in one direction, doesn’t mean that everyone should go there (nor does it mean it is a good direction). One of the benefits, in my opinion, of our industry trending toward talking about evidence based medicine at the moment, is that it will actually help us in developing and discussing the more emotional, mental or spiritual part of the spa experience. As the spa professional and consumer start to understand evidence based medicine more clearly, it will be easier to talk about the aspects of spa that are not evidenced based and the value they might hold. This is one of the points that Dr. Ken Pelletier addressed in his presentation at the Global Spa Summit last month. There is a lot of value in us being educated about what level of evidence exists for the various therapies we offer. That does not mean we only promote or support the modalities for which there is a great deal of evidence. As Dr. Pelletier said, just because there isn’t a lot of evidence, doesn’t mean something doesn’t work. There may just not be any (or enough) studies yet. In addition, some things such as Ayruvedic or Herbal Medicine are difficult to study because every solution is unique for each individual. You aren’t able to have a control group let alone a double blind study. One of the things I have found now that I am more familiar with evidence based medicine (largely thanks to the http://www.spaevidence.com project I had the privilege of working on) is a much greater confidence in the value of our industry. Not only is it empowering to know what evidence there is out there, it is empowering to know what evidence there isn’t. I feel that I can talk with just about anyone now – including medical doctors – about many of our spa therapies because they are no longer the only ones with the information. I have seen it, have access to it and in some cases am more familiar with it than they are. Thanks for providing this forum to have these discussions. One of these days would love to know your thoughts on the difference between mind and spirit in the spa context (as in body, mind, spirit) as it seems to me that the distinctions are somewhat blurred. The 2010 SRI study on Wellness pointed out that while the spa industry likes to use the term “spiritual,” that isn’t the case for consumers. And yet, consumers are very much looking for solutions at spas to what they describe as their mental health. Interesting. Thanks Susie, Those are great comments. I love the “counter trends” that you have added this year to your trends report. I think they really help people to stop and think about the different perspectives around each trend. I have noticed that in the spa industry we tend to latch on to certain taglines that cause us to give up critically thinking through the issues. One of those was the idea that “spas are about wellness not pampering” which I tried to bring a different perspective to on my “In Defense of Pampering” article. Another one is about how “spas should not discount, they should add value.” This has been a mantra of the industry that I’m sure many spas are struggling with in today’s economy. I just wrote a “counter trend” article for hotelexecutive.com called “Making Friends with Discounting” to try and show that discounting has to be done strategically and it has a time and a place. When we create these black and white rules for ourselves we limit our creativity. I think what you are doing with http://www.spaevidence.com to help promote evidence based thinking in the spa industry is a huge leap forward for us and will enhance our education and understanding about the services we have to offer. My counter trend to that would be to recognize that spas bring something to the table that is missing from our other “evidence based” health care programs and we should honor and maintain those differences in stead of blindly following a medical model that really doesn’t get it all right. To your point, in order to do that well, we need to know what we are talking about on both sides of the coin, so I’m all for growing the research around spa and I think this website/database will be a huge boon to our industry. You ask a good question about the difference between mind and spirit. It is something I have thought a lot about so I will put some notes together, and maybe even attempt to answer your question in another article. Thanks for stimulating some thought and discussion! Congratulations on such a beautifully formulated and spot-on article! This is a valuable message for the industry and one I have shared for quite a long time. I’m always so grateful to connect with others in the industry of the same mindset, and know that I am not alone in the vision I hold for spas. I am currently headed up a project in India where we are fusing science and spirituality. It is very exciting and with the level of integrity, intention and vision coming together it will truly be a blessing to the industry, and I hope a new benchmark for others to follow! You have inspired me to once again share my message with others.. I spent the past several years deep behind the scenes in creation and development and didn’t have much time to communicate to the rest of the world. Thank you for this inspiring article and taking the time to write these blogs for others to benefit from!